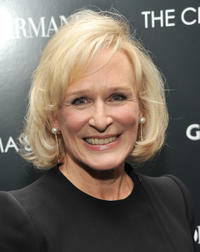 Glenn Close at the 28th annual Gotham Independent Film Awards in New York City. 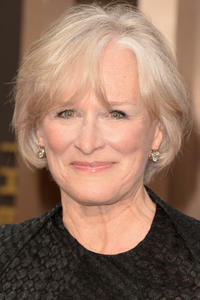 Glenn Close at the Oscars in Hollywood, California. 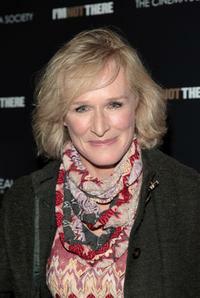 Glenn Close at the Chelsea West Cinemas attends the New York premiere of "I'm Not There". 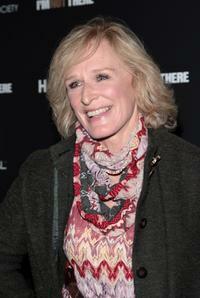 Glenn Close at the Sundance Institute's 26th Annual Celebration, "A Sundance Family Celebration". 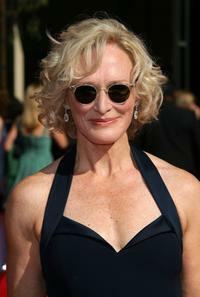 Glenn Close at the 20th Century Fox Emmy Party. 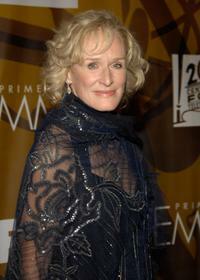 Glenn Close at the 59th Annual Primetime Emmy Awards at the Shrine Auditorium. 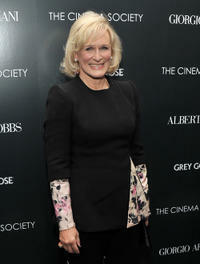 Glenn Close and Todd A. Kessler at the FX Network portion of the Television Critics Association Press Tour for ''Damages''. Glenn Close, Kyra Sedgwick and Mary-Louise Parker at the 59th Annual Primetime Emmy Awards present the Outstanding Made for Television Movie onstage. 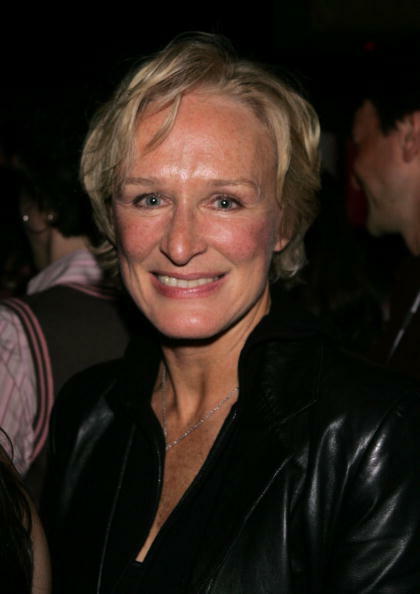 Glenn Close in "Albert Nobbs." Glenn Close, Robert Redford and Sally Field at the Sundance Institute's 26th Annual Celebration, "A Sundance Family Celebration". 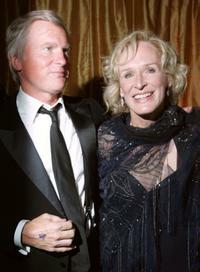 Glenn Close and husband David Shaw at the 20th Century Fox Emmy Party. Glenn Close, Lili Taylor and John Leguizamo at the Sundance Institute's 26th Annual Celebration, "A Sundance Family Celebration". 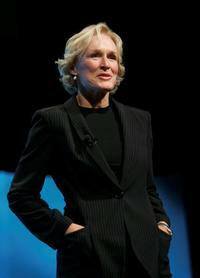 Glenn Close at the Time Magazine Global Health Summit at the Time Warner Center. 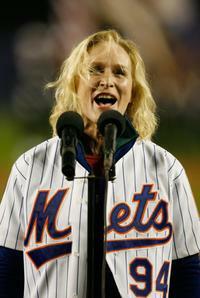 Glenn Close at the Shea Stadium sings the National Anthem before the New York Mets play the St. Louis Cardinals in game seven of the NLCS. 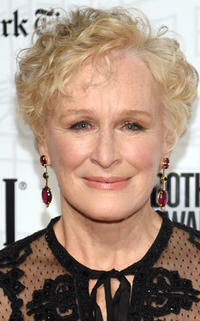 Glenn Close at the CNN Heroes: An All-Star Tribute at the American Museum of Natural History. 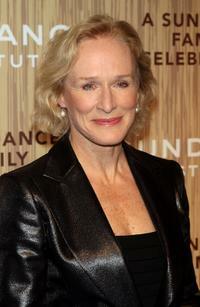 Glenn Close and Parker Posey at the Sundance Institute's 26th Annual Celebration, "A Sundance Family Celebration". 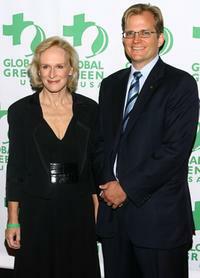 Glenn Close and CEO of Global Green Matt Peterson at the Global Green USA's annual Sustainable Design Awards. 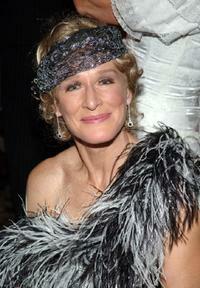 Glenn Close at the Bette Midler's 12th Annual NYRP "Hulaween" Ball. Glenn Close at the New York premiere of "Albert Nobbs."